Repurposing, remodelling, regenerating…. 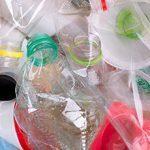 Whatever you call it, the concept of turning something old or broken into something new and often completely different is becoming increasingly popular as we become more environmentally and financially conscious. 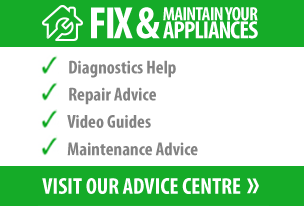 If an appliance becomes faulty or broken, we always recommend trying to repair it first and foremost, but eventually your long-serving electricals may become irreparable. Recycling is often the best option, but wouldn’t it be nice if you could put some of the bits to an alternative use, at least to pay homage to the years of service that fridge or dryer has given to you? One of the success stories from UK television show ‘Dragon’s Den’ was Eco-Design company Reestore, who took parts from discarded home appliances and fashioned them into trendy pieces of furniture. Reestore’s most popular product, Silvana, began life as a washing machine drum, but with a few clever tweaks has metamorphosed into a charming side table, complete with internal light and finished with a frosted glass surface. The rather tenuous connection between washing machines and dining furniture seems to be fast becoming an international phenomenon, with the guys at Panasonic’s recycling plant in Japan fashioning this rather groovy table made from the drum of a washing machine. 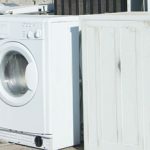 The plant recycles items such as fridges, washers, dryers and televisions, using most of the materials to make brand new appliances, but they like to have some fun along the way. If you’re feeling slightly less adventurous, or just don’t really need another table, then these drums really come into their own in the summer months. Create a firepit by surrounding a tumble dryer drum with a stone wall and filling it with firewood. Air flowing in through the holes will keep the fire going as you warm your hands or toast marshmallows. Or for those summer garden parties, fill your drum with ice cubes to create an ice bucket for your favourite beverages. As the ice melts, the holes in the drum walls will let the water drain into the grass. Washers and dryers aren’t the only appliances that provide a multitude of possibilities for handy home reincarnations. With the advent of the digital revolution, analogue TVs have become a thing of the past, but one human being’s trash can be your furry (or scaly) friend’s treasure! My favourite ideas for repurposing an old telly is to transform it into a fish tank or cat bed, but make sure you’ve got all the electrical bits out first (and take care while doing so!). In short, there’s no lack of stuff you can do with a knackered appliance and a little inspiration. We’d love to hear if you’ve created something brilliant from an old household item, feel free to tell us about it in the comments section below or even post a photo! My dryer repair person didn’t believe me when I told him what I wanted to do with the dryer drum. I mentioned this post and thought that I would like to try it, especially since the dryer was broken. He started putting my sad, old dryer (that did not work) back together again. He was not a good listener, a very nice guy but he thought I was kidding. Wish me luck! If I can figure out how to post a picture I will do so.